New center aims to help people manage difficult conversations. The newly established Detroit Center for Civil Discourse is holding a panel discussion Feb. 4 at the Wayne State University Student Center on the past, present and future of Yemen. “Yemen is so emblematic of the importance of different groups coming [together]; it shouldn’t just be Muslims or Arabs or Yemenis talking about it. Everyone should be talking about it,” said Rabbi Asher Lopatin, the center’s founder and director. Lopatin aims to raise awareness of the ongoing crisis in Yemen, a war-torn country where Jews and Muslims coexisted for centuries, and also to showcase his organization’s approach to managing difficult conversation. 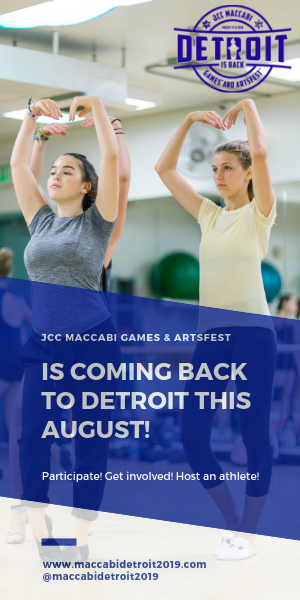 The event is being co-sponsored by the Detroit Jewish Community Relations Council/AJC and the Michigan Muslim Community Council and will feature speakers from both faiths. It’s the first public event for the Detroit Center for Civil Discourse (DCCD), whose main goal is to offer a fellowship for Jewish and Muslim (and/or Arab) WSU students on conducting civil discourse. The fellowship will launch next fall with a cohort of 10 to 16 students, half of them Jewish, half Muslim and/or Arab. It will start by providing an academic background on hot-button issues, particularly the Israeli-Palestinian conflict. That includes an overview of Muslim-Jewish relations over the centuries, including the long periods of relative equanimity but also the flash points. On this firm foundation of facts, fellows will discuss tough issues — “no redlines,” Lopatin stressed. The goal for the students is not to change opinions, but simply to learn how to engage with one another. To that end, they’ll become versed in methodologies for carrying on fraught conversations in a respectful manner. “You don’t have to legitimize the other side; you don’t have to give up your own passionate feelings; and you can still come together — that’s the theory of civil discourse,” Lopatin said. Jewish day school students and Cass Tech students offer greetings at a meeting facilitated by the Detroit Center for Civil Discourse on the National Day of Racial Healing. Lopatin, like the center, is new to the Detroit Jewish community, having come from New York last year to establish Kehillat Etz Chayim, a Modern Orthodox congregation based in Huntington Woods. “The pulpit’s really all about the importance of the micro — of Jewish lives, of services, the smaller circle … I wanted to really balance it on a personal level with the broader circle — the world,” he said. To build the DCCD, Lopatin contacted Howard Lupovitch, director of the Cohn-Haddow Center for Judaic Studies and associate professor of history at WSU. Lupovitch connected him with Khan, who has worked for some time on interfaith engagement initiatives. Ariana Mentzel, a member of the local JCRC/AJC and a religious school teacher at Congregation Shaarey Zedek in Southfield, serves as the center’s assistant director. So far, funding for the center comes from private donors. Lopatin says the DCCD is now applying for nonprofit status and is in the early stages of seeking funding from foundations. WSU has given the center space in its faculty building on campus. The center’s focus on Muslim-Jewish relations is a reflection of its leadership — Lopatin being a rabbi and Khan a Muslim, and also of how strongly both populations are represented in Metro Detroit. 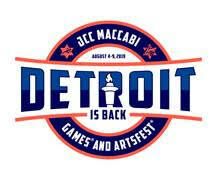 However, the DCCD seeks to foster engagement among other groups as well. 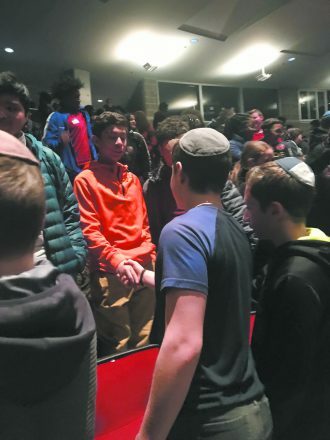 For instance, in late January, the center helped bring 130 Farber Hebrew Day School and Hillel Day School students to Cass Tech High School to join Detroit public school peers in a National Day of Racial Healing. Lopatin hopes, in time, to apply the civil discourse approach to all kinds of discord, from wars between economic classes to angry political arguments at the Shabbat table. “The idea really is that … connections between diverse communities, even communities that have historically been seen as very much at odds with each other … that this kind of connection can be really rewarding,” he said. The program on Yemen will be at 4 p.m. Monday, Feb. 4, at the WSU Student Center, 5221 Gullen Mall, on campus. Free. Panelists include professors Saeed Khan and Howard Lupovitch, Yemeni-Israeli community activist Ashley Attar and Emad Shammakh, vice president of the Yemeni American Leadership Association in Hamtramck.